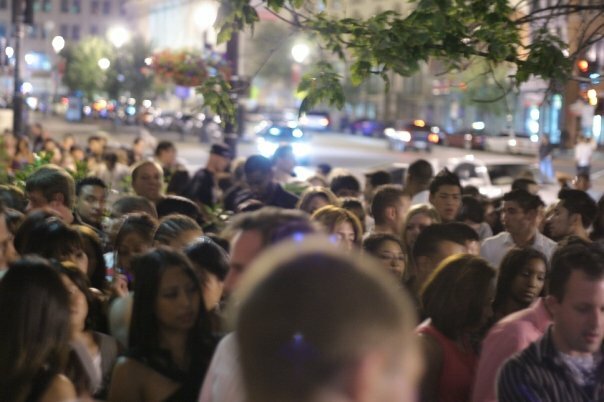 Guestlist line on the right in this pic, regular admission on left closer to wall. One name per line, first and last name. 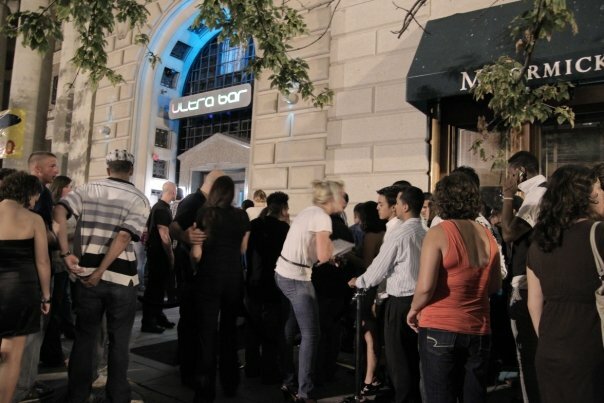 – The guestlist line at Ultrabar and Fur is the one closest to the curb, away from the wall. Just look for the important-looking person with the clipboard. Not sure? Just ask any employee or promoter. – Pay attention to the guestlist times listed on the event page or in the confirmation message that I send back to you. This means you must be inside the door by those times to get hooked up, so please remember to keep that in mind when planning your night. Parking, ID Check, and stuff like that ALWAYS takes longer than you expect. I certainly hope that I don’t have to explain this part to you! This entry was posted in DC Clubs, Uncategorized and tagged clubs in dc, DJ Maskell, free entry, fur nightclub, guestlist, nightclub guest list, table reservations, Ultrabar, washington dc clubs by Mark Maskell. Bookmark the permalink. Pingback: DJ Maskell | Maskell’s DC Kickoff! Pingback: DJ Maskell | DJ Maskell's 26th Birthday at POP :: Sponsored by ABSOLUT!